Engage users by sharing their content: Are you a restaurant? Perhaps feature a variation of one of your dishes by a fan on your Facebook page. This immediately creates a positive sentiment among your followers, and the person who you featured on your page. Similar engagements can work for other companies and industries. And all of it without incurring extra costs. Active your reviews: Let your fans review your services. Good reviews lead to more footfall, which leads to even more reviews. Encouraging reviews does two primary things. First, it shows your customer that you trust their judgment and hold it in great esteem. And secondly, it helps you review your own services, and constantly better them, in turn helping your business grow. People centric stories: Your audience knows your brand now, even your products. Do they know the people who work for you? Do you have interesting stories around the people you could share? Look for them and share them on your Facebook page. People centric stories drive high engagement and also showcase a humane side of your brand. Do check out the ‘Humans of New York’ page if you still haven’t. Write about what people want: Research a little about the likes and dislikes of your audience. What are the topics that drive them. What sort of stories are they more inclined to like? Once you find them, construct your content around it and watch your Facebook page gain momentum. Utilize your cover photo to showcase new content: The cover photo space can be a perfect spot to highlight the latest in your company/brand. Also, contest winners can be showcased in that space, making them feel connected and want to share the image or the page itself. These are some effective ways to leverage your Facebook page without any ad spend on the side of your company. 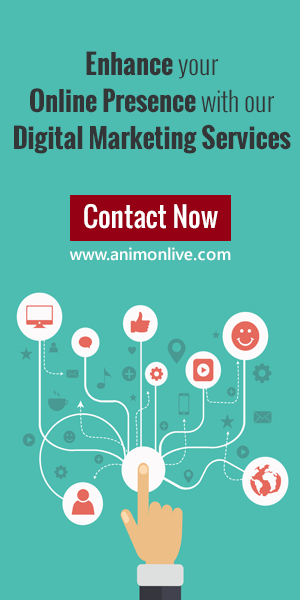 Stay tuned for another interesting article on Animon Live! Next Post Opencart 2.2: New Features add Zing to OpenCart!